Geraniums are treasured for their low-growing mounds of dark green leaves topped with pastel blooms. 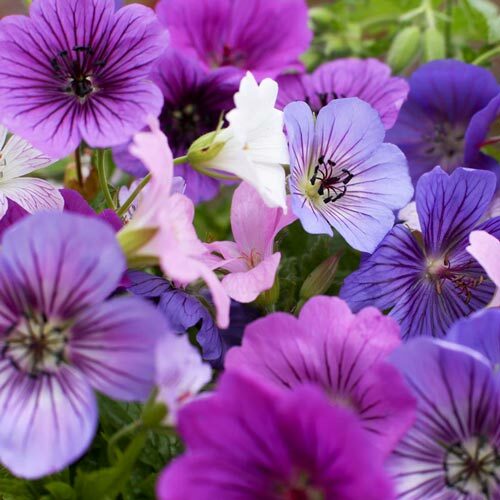 Our Geranium Breeders' Mix is a mix of purple, blue, white or pink flowers that bloom from late spring to summer. 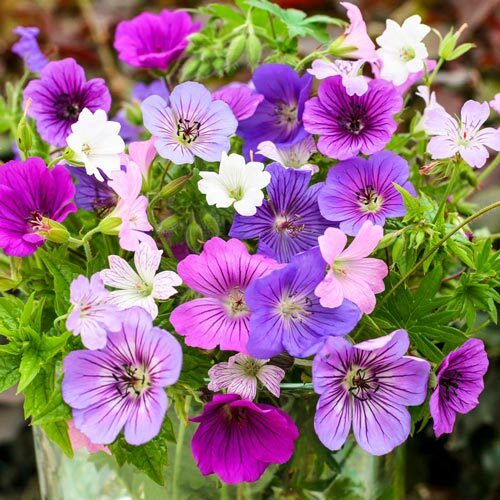 Easy to grow and low maintenance, geraniums are perfect perennials for planting in sunny front borders, using as a colorful ground covers and even for planting in containers. 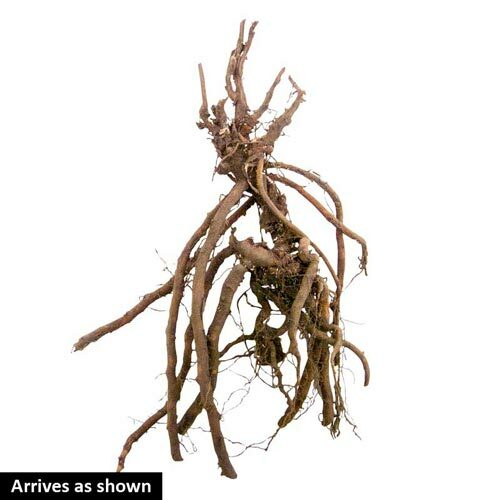 They continue to gain popularity among gardeners who are looking for attractive, low-maintenance plants. Geraniums grow best in sun to partial shade. They prefer well-drained soil, but are adaptable to other s except wet soil. Deer tend to avoid.